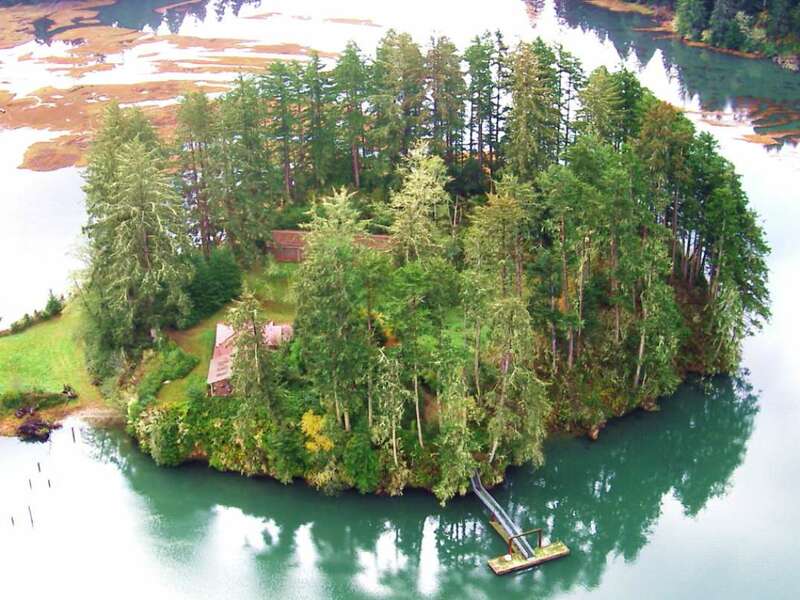 Despite being a coastal state, Oregon's private islands are more likely to lie in any of the five major rivers running through the salmon state. Oregon just wouldn’t be Oregon without its salmon; this iconic fish, rich with tradition and history, holds a treasured place in Oregon’s cul... + Read More ture - as much a part of the state as its dense forests and volcanic outcroppings. The Cascade Mountains stretch across the entire north south length of Oregon, producing two very different climates. West of the Cascades, a mild and moist marine climate prevails, while east of the Cascades, Oregon's high desert country can be scorching hot or bitterly cold.